In the last few years, I have often found myself researching application options and tools a customer is interested in. This usually starts with a suggested tool or two that they like (or have a few specific dislikes). Then I am asked to see what is available that is similar but better. The fruits of those little projects are a good start for this article and will likely surprise you. The first thing that jumps out at me when I start these projects is the number of application options that can be found with a search or two. Even “niche” applications like visitor recording, B2B e-commerce, and database development tools will return several options. Better yet, most of the alternatives I come across have at least a free trial period of a few weeks while often providing an unlimited free option. Cost is rarely an issue. The tools available these days are regularly priced in a way that allows customers to start simple and inexpensive or go all-out for a high-end solution. I mentioned a trial period available for most solutions. When you combine some of the training material often provided with the ability to “play” with these applications the time requirements can become overwhelming. However, an hour or two will typically be more than enough to evaluate the usefulness of these tools. At times, you will be able to eliminate options in fifteen minutes or less. This time spent perusing your options is well worth the investment. Your initial list of a few possibilities can grow to several. Then they can be pared back down to a short list. At this point, each solution is likely a good fit (or better) for your needs. The number of viable application options makes the selection process easy to overlook. 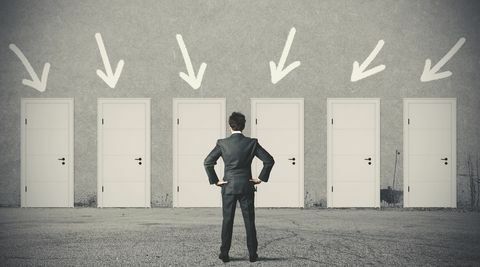 When you feel you cannot wrong with any of the available choices, then it is logical to keep your investment small and avoid going deep into the evaluation. At this point, it is worth looking at the reasons that started the search process. Some requirements were not being met by the original solution. They should be verified in the short list of options. The search process will also provide new elements that are desired in the solution. That is just the nature of reviewing solutions in any vertical. Your comfort with a prior solution can keep you from considering what new advances and features can do for your productivity and company. Many tools have a way to invite others into a demo period. Take advantage of this and find some other people that can give you feedback on the product. They do not need to spend much time at all in the product. Instead, they can quickly provide their initial reactions to the features and interface. This is a great way to avoid making decisions in a vacuum while also sending a form of a trial balloon to determine how open others are to this change. I hope these brief suggestions spark you to re-consider your current tools and evaluate how the landscape has changed. A considerable productivity boost might be just around the corner for you and your team. Of course, I also am happy to help you in evaluating your options and finding the best tool currently available. I would love to discuss your specific requirements and how to find the best solution.